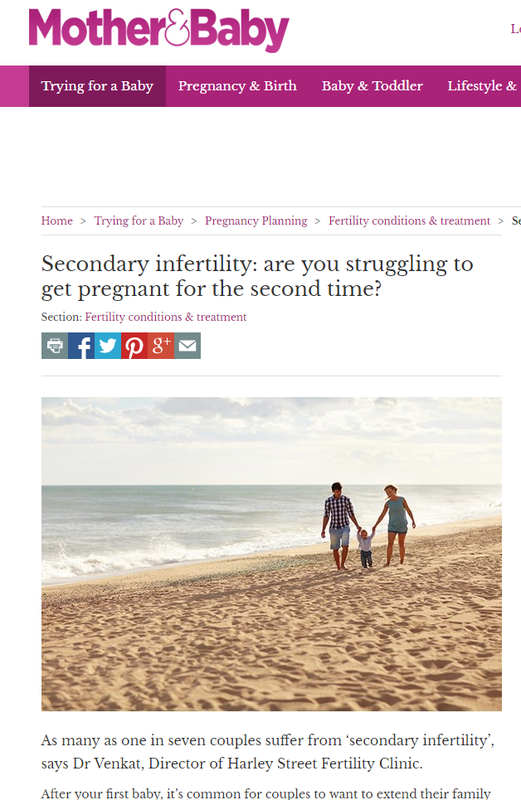 Trinity PR has been working with the Harley Street Clinic to raise awareness of ‘secondary infertility’. 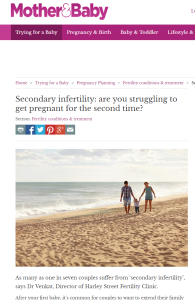 Sadly, it is not unusual for couples to experience infertility when trying for a second or third child. The situation can be stressful and upsetting and also difficult to process, especially if the first pregnancy went without a hitch. Dr Geetha Venkat, Director of HSFC answers the many questions that couples facing this issue often ask in Mother & Baby magazine. These include how long does it take to conceive after the birth of a child and whether complications from the first birth could lead to difficulties in getting pregnant again. Read the full article here.